Delegates discussing the global goal on ocean health in New York this week should carefully consider how fisheries contribute to wellbeing, and who gets those benefits. Fisheries interventions are usually focussed on protecting fish stocks, increasing the volumes of fish caught or generating higher prices for fishers’ catches. Many interventions typically assume that fisheries are only about income, and often ignore how benefits and costs are distributed to different people. A better understanding of human well-being, not limited to income, and of winners and losers offers a better basis to sustainably address poverty in fishing communities. Fisheries development projects are often focussed on income. Income is an important aspect of fisheries and for alleviating poverty, but if it is the main focus other aspects become overlooked. This is because both human well-being and poverty are multidimensional, meaning that if one only considers income then other important aspects of wellbeing could be overlooked. Human wellbeing is multidimensional, including such domains as health, education, physical security, water, respect, autonomy, shelter, food, economic security, participation, sanitation, and relationships. Income can certainly support many of these aspects of wellbeing. However, relationships, autonomy, health, and respect may have little to do with income. Hence if one is only concerned with the monetary aspects of fisheries then other aspects of wellbeing become overlooked. Only half of the links our focus groups identified between fisheries and wellbeing were monetary, the other half were non-monetary links such as autonomy and respect or direct use of fish for food or non-monetary exchange. Measuring poverty only as low-levels of income is also tricky. If a person earns more than $1.90 per day they are considered by standard approaches to be above the poverty line. Our analyses have shown that income poverty is only partly related to three other important aspects of poverty. Household assets, whether people meet their basic needs, and people’s own satisfaction with life are only partly explained by income. For example fishers often earn above the poverty line and are thus out of income poverty, but often have a more basic “material style of life” and can lack some of basic needs such as sanitation and food. An additional problem with a focus on income for poverty alleviation is that fisheries income is unevenly distributed. Our surveys in Vanga estimated that women who buy and fry small fish to sell to local consumers made up 9.5% of the total people directly profiting from the fish trade, yet they share only 2% of the profits. Meanwhile, a few large-scale male traders, who have more capital and buying power represent only 1.5% of the beneficiaries but capture 18% of the profits. In turn, improving the total income opportunities will not help the poorest if the income is unequally distributed to favour the less poor, such as the large scale male traders. Finally, we need to ask how income from fisheries can improve well-being? Income from fisheries is certainly critical for poverty alleviation. The communities that we sampled identified lack of income or a job as key causes of dissatisfaction with their lives. Fishing is one of the more profitable activities in the community, but even fishing households still lack key basic needs. 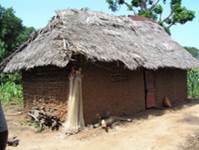 For example in Vanga, 45% of households, both fishers and non-fishers, reported sometimes going all day without food. 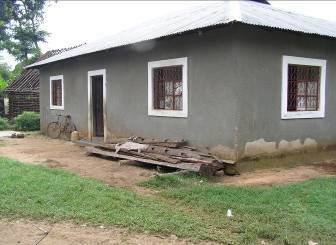 Income only contributes to the well-being of the household members if it is spent on meeting their needs, or is saved to provide for future opportunities like paying for school fees. We have no data on how the income made by fisheries is spent or saved, but literature from coasts and lakes around the world points out that fishing often takes place in contexts that encourage the high earnings to be squandered. Fishing income is often more like a lottery win than a steady wage because occasional large catches lead to a sudden input of lots of cash. In the Vanga example, 71% of the income from this fishery is earned by fishers at the landing site. Particularly if this income comes as sudden input of cash, it may be hard to use income wisely, to plan for the future and to save. Most development efforts have tried to help fishers catch more fish or get higher prices. Perhaps interventions could have more impact on well-being by helping fishers to avoid squandering their income, and to have access to savings to smooth out their variable income. A focus on saving facilities and behaviours was one strong message emerging from community dialogues on SPACES research in Kenya. Ocean conservation is often framed in a win-win narrative of protecting fish stocks, boosting profits and supporting livelihoods and food security. However, there are important tradeoffs to consider. 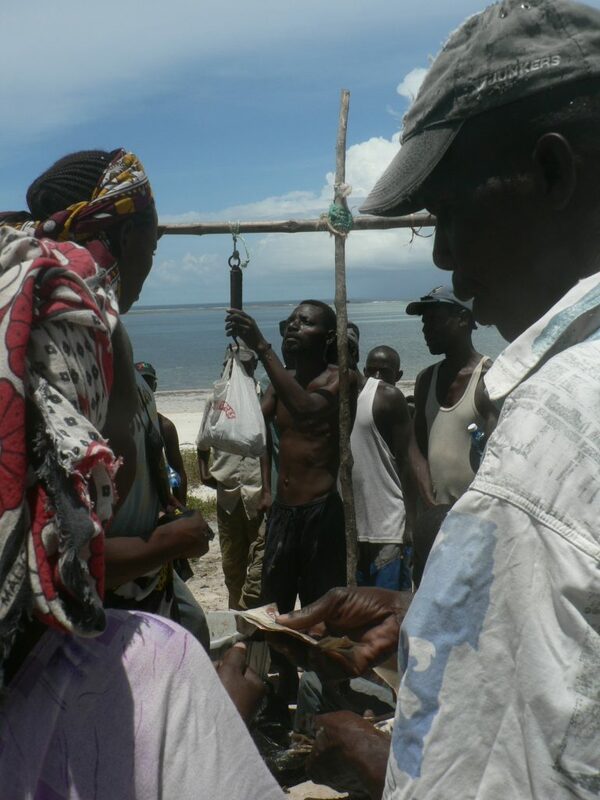 Previous participatory research and ecological modelling of a fishery system near Mombasa (link) showed that conservation and economic profit goals could be enhanced, but that this would reduce the volume of food generated, with the strongest impact on women fish traders. This is problematic if development actors have a tunnel-vision focus on some aspect of fisheries at the expense of missing some of these tradeoffs. So focussing on total profits to fishermen, ignores how these are distributed and may undermine benefits to women and consumers. A focus on income blinds us to direct-use and cultural benefits. And a focus on short-term incomes is likely to miss questions of sustainability and the resilience of the fishery to support well-being for a range of people in the community. The emerging findings from SPACES suggest that actors considering how fisheries support the wellbeing of different people (not just through to income) might identify better solutions for sustainable poverty alleviation in fishing communities.